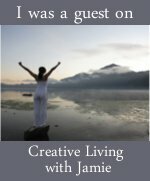 I am so honored to be today's guest on one of my most favorite podcasts, Creative Living with Jamie. It was SO fun to do the interview and I'm happy to share it with you! PS. Wanna interview me for your podcast, website or newsletter? Just shoot me a note with a link to your thing! Why yes, it is that beautiful man's birthday. In honor of his birthday, we're throwing a craft-along. You can join in by sharing your GK-inspired craft (all mediums welcome!) in the Flickr group. There's no deadline, there's no rules, just a bunch of crafters in love with the dancing man. 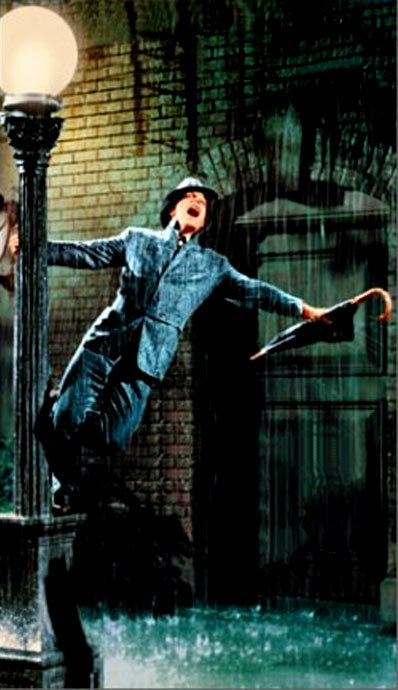 For me, the crush started the first time I saw Singin' in the Rain. I was 8 or 9 and we rented it from the library. I'm pretty sure it was the first musical I ever watched. It's definitely the first time I saw dancing like that. It soon became my watch-when-sick movie and it's never failed to lull me to sleep or make me forget about how icky I feel. Which is why it was tragic when it was one of the movies stolen when our house was broken into. 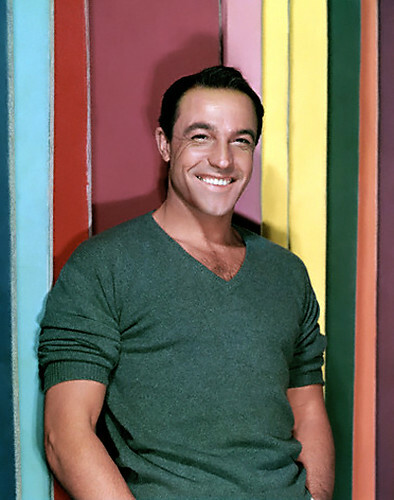 I've never seen another Gene Kelly movie. Clearly, this is to be remedied. I've got Summer Stock and An American in Paris on hold at the library (so retro!) and Xanadu (never seen it! my child-of-the80s-cred is in question!) and (thanks to Rachel!) Anatomy of a Dancer cued up for tonight on Netflix Instant. I'm thinking an amigurumi Gene (like my Wimpy Kid) or perhaps a series of yarn, one for each movie I watch? Do you know about the Craft Film Club Mercedes started? This month I'm the hostess, which means I get to pick the movies and encourage y'all to share your thoughts, creative inspirations and projects. Ok, the French major in me has to point out that their titles are SO much more fabulous in their native French! So if it's not terribly pretentious , I'm going to refer to them by their French names. I first saw this gem on January 4th, 2002 as an enthusiastic sophmore French major with my adorable boyfriend (who grew up to be my husband) at a little art theater in downtown Dayton. The Neon only has 2 screens, but they have a fantastic coffee bar, wine beer and fancy popcorn and plush velvet seats. I remember feeling delighted (and a little shocked) throughout the whole movie. Who knew movies could be this drenched in mood and color and bonhomie? I've only seen this movie once, on the recommendation of Jane Brockett in The Gentle Art of Domesticity. Coloful, bright and yes, a musical. Completely, delightfully bright (and parapluies is just a fun word to say). Parapluies! I picked these two movies because of their use of color to illicit mood (and because in 7 years of studying French I watched a zillion french movies and want to share a few of them with you). 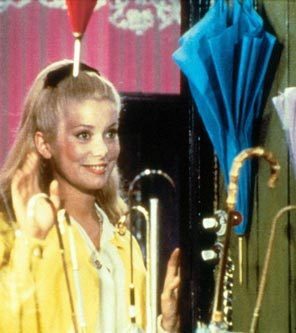 I also think that Amelie had to be inspired just a little by the magically musical world of Parapluies…and maybe a bit by Catherine Deneuve's style. I can't wait to see what crafty projects they inspire for you! I plan on making at least a yarn inspired by each of them…what are you going to make? Postscript: An update for you who have been waiting! I'm deep in writing mode on the Guidebook for everything-I-know-about-marketing-your-handmade-goodness (yeah, I don't have a name for it yet). You can get first dibs on it (along with getting it first, you'll also get to help me write it) by signing up here. Note: If you're in the Bake Sale Marketing class, you're getting it as part of the class. In my own work/life/business, I have these crazy full-of-ideas periods, followed by amazing get-stuff-done periods, followed by…today. The cycle affects individual ideas (let's make a Learn to Knit kit!) and my general, day-to-day creativity. It starts with an idea, then a flow of ideas, then I get in the flow of making the ideas happen. This revving-up is my favorite part of the cycle. I would live here if I could. I would camp here and do nothing but generate ideas and journal and plan all day long. But then I get anxious to DO, to implement. At the apex of the cycle is not just the flow of ideas, but the production, the work, the actual doing. In other words, creating. But after that apex, as the projects continue to roll forward and the rush of ideas turns into a rush of details, sometime in the midst of doing, I slow. And soon, the slowing is the overwhelming characteristic. No longer creating the thing, I'm either brunching (introducing the thing to the world) or I'm slowing down in the middle of the thing. Following the slowing, comes the fallow period. Despite being raised in the agricutural heartland, playing in cornfields, my days measured by the height of the corn: I haven't recognize or respect the fallow period until recently. What does fallow even mean? Who wants to be “not seeded”? I tried to go right from the slowing, back to the doing. But something in me resisted. Before I recognized that this is a stage in the cycle, I kept pushing. Pushing to work on projects. Pushing to work work work. Pushing to get out of the un-doing and back to the doing. But pushing got me nowhere. Inexplicably, inexorably, unequivically the ideas came back. First, just a trickle, then a stream and then a rush and I am back. Back to doing, to planning, to creating. Whether I push or not, my creativity cycled. When you stop pushing it creates a vacuum that will fill back up with better ideas than you'd been pushing for! When I recognize the fallow period, when I respect it, when I rest in it, I create a blank space, a well that is soon filled with ideas and energy. Today, this week, I'm in a bit of a fallow period. But it's ok, it's just part of the cycle. I just started reading Twyla Tharp's The Creative Habit last night and stayed up much later than I should have, enthralled by the concept of a creative habit and preparation for creativity. More on this as I get through the book and have some time to process it all. A Creative Journal: just discovered this site dedicated to journaling, just in time for my new journal! Jane, a newish spinner, well, her bravery is just amazing me! 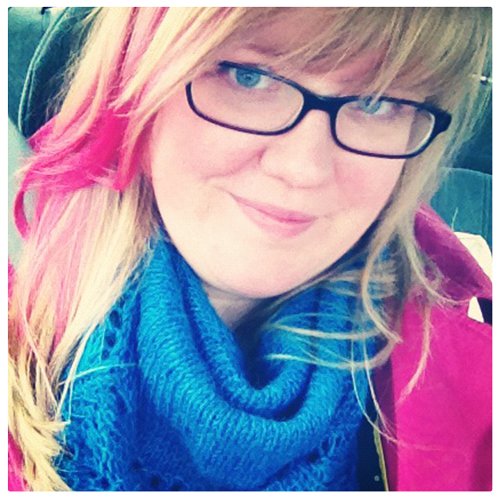 After seeing see this sweater, it all clicked: I need to knit a comfy, wear-everywhere hoodie out of my handspun! Nothing too bright, just muted, slightly stripey handdyed, handspun hoodie!